In the city of S.C. de Bariloche, on May 16th. and 17th., 2014, was performed one of the two annual Patagonian South Regional Seminars of our Organization. 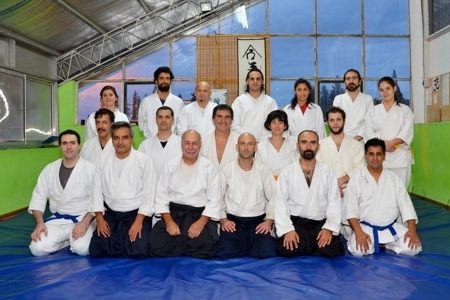 As always, the chosen place was the Aiki Dojo Bariloche, located at Gimnasio Municipal 1, Elflein St. and Ruiz Moreno St.
For that purpose Professor Ricardo Lopez travel to that city, where also took examination to those students who where qualified for a higher level. During those two days of vigorous work out was remarkable the enthusiasm displayed by the participants, transforming this travel, like the previous, in a beautiful experience of fraternization and friendship. 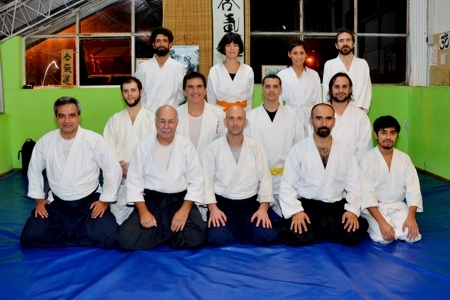 Prof. Lopez is very pleased with the progress and pledge of the practitioners, as well the compromise and responsibility of Mario Rios Sensei, 4th. 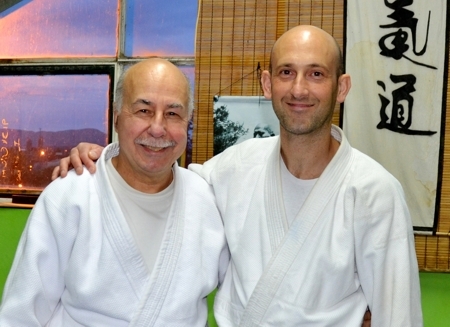 Dan, Hombu Dojo, Japan, in charge of this Dojo.